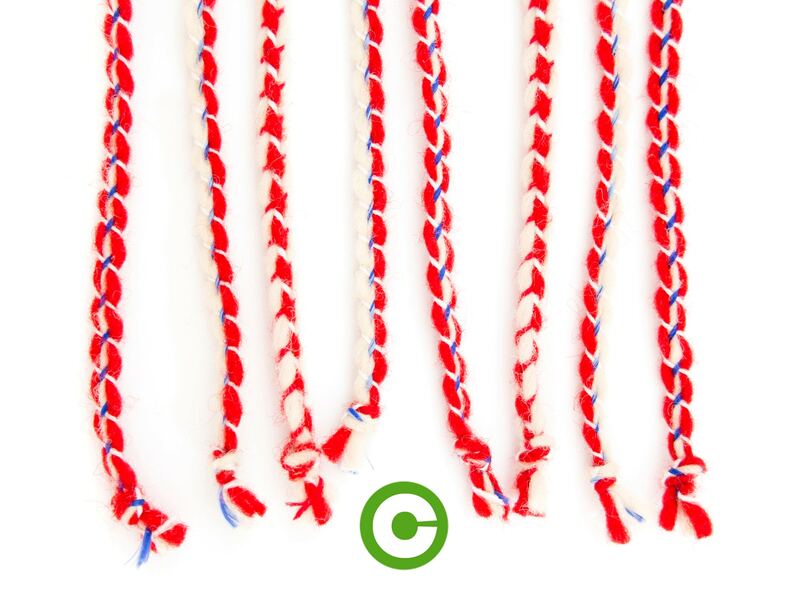 This is set of 10 Bulgarian Martenitsa Bracelets. 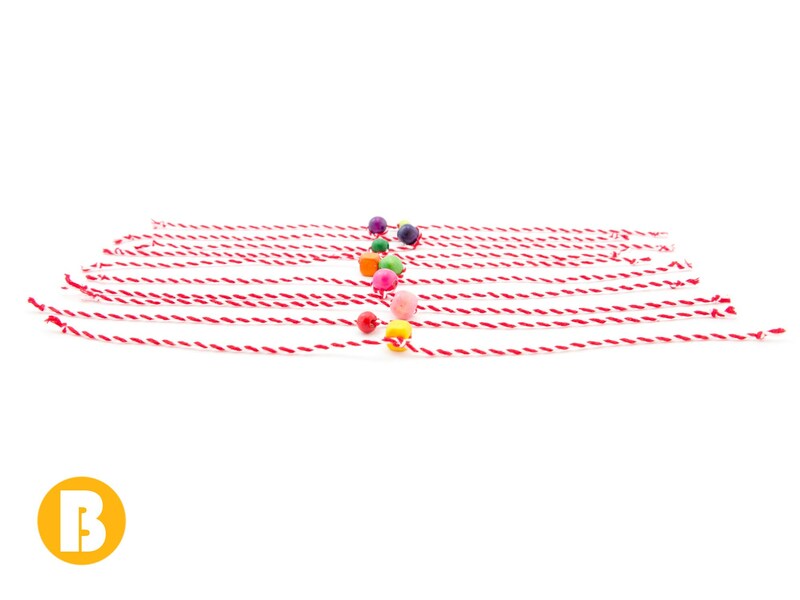 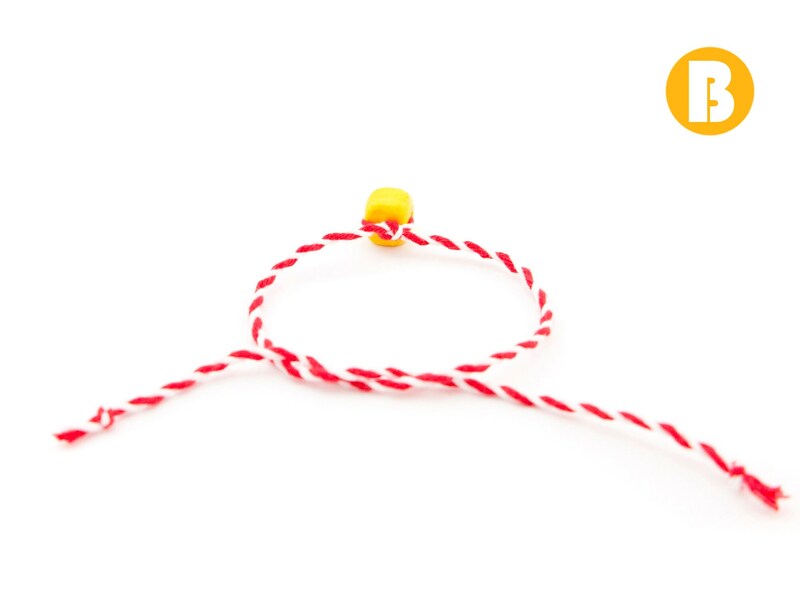 The set consists of 10 red and white string bracelets, also known as Martenica, Martenici, Martenichki, Martenicka, Мартеница. 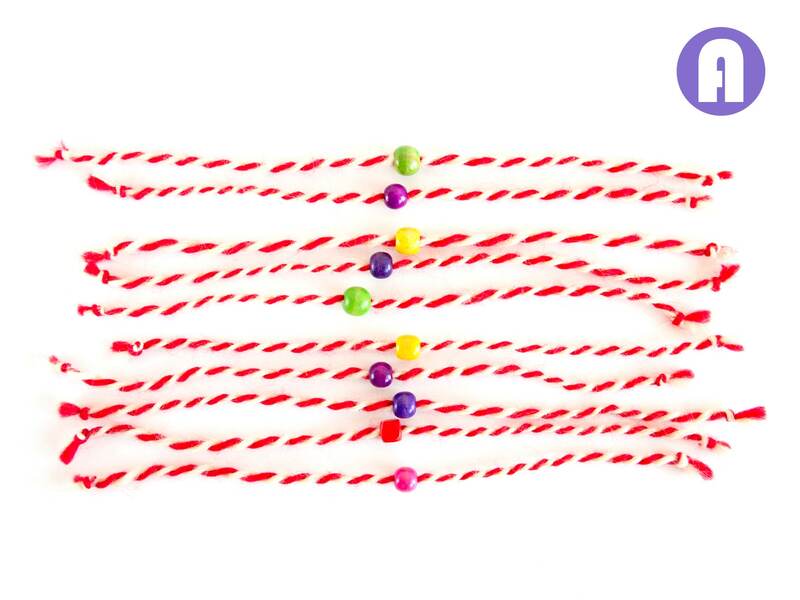 They are used as small gifts and favors for Baba Marta day. 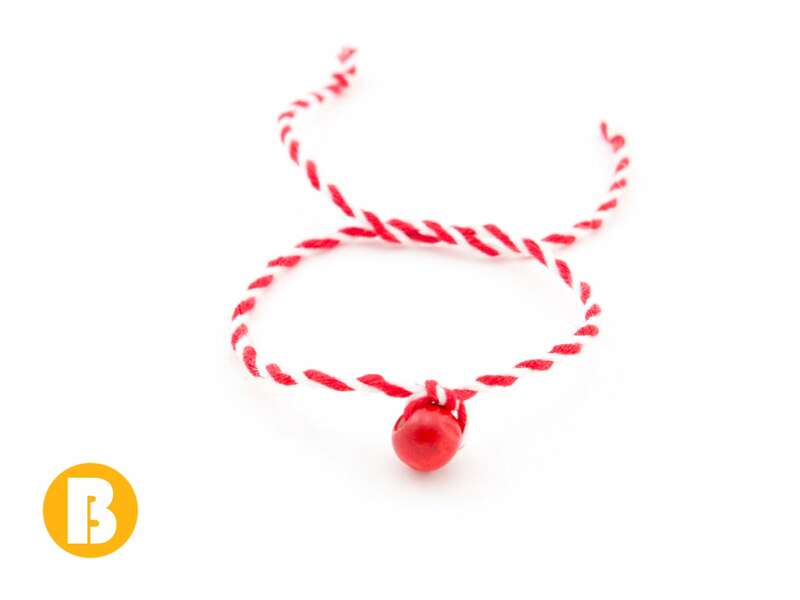 We handmade these Bulgarian Martenitsa bracelets following the Bulgarian tradition. 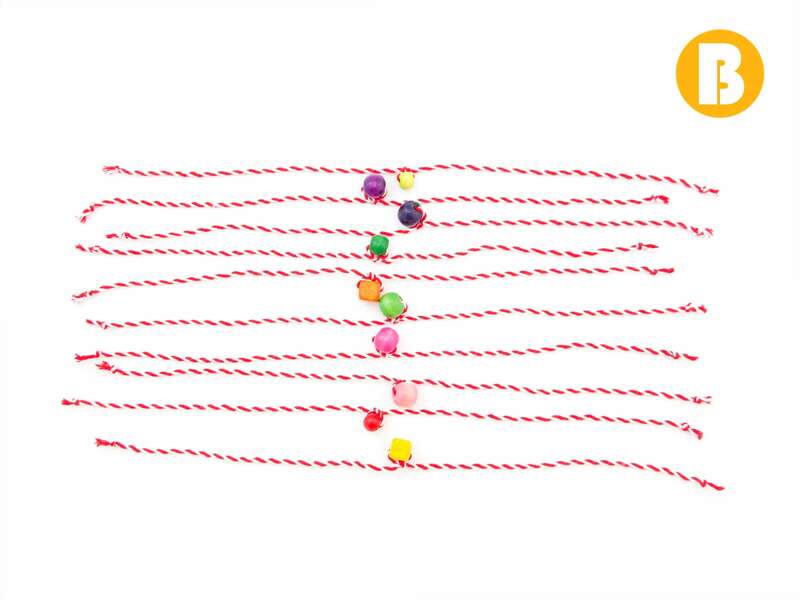 We made them of natural wool or cotton and decorated with wooden beads. 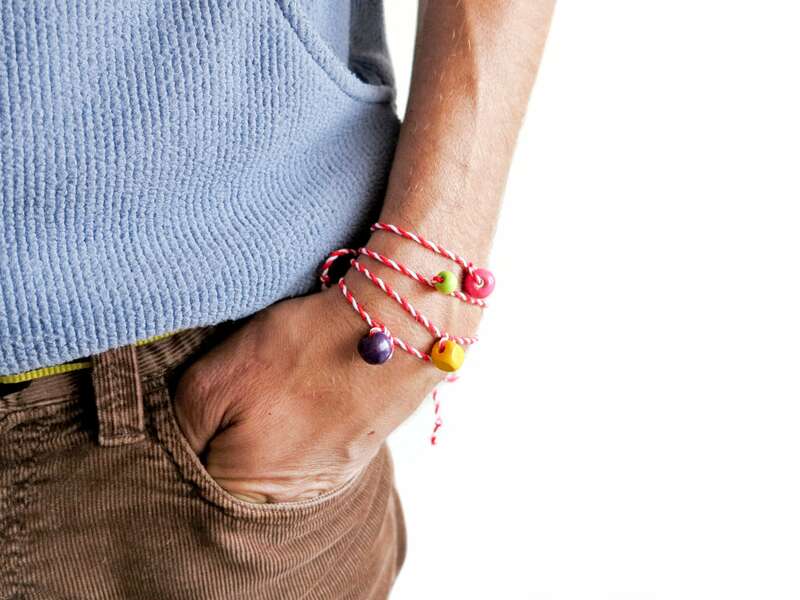 * Colorful wooden beads in a sphere or cube shape. 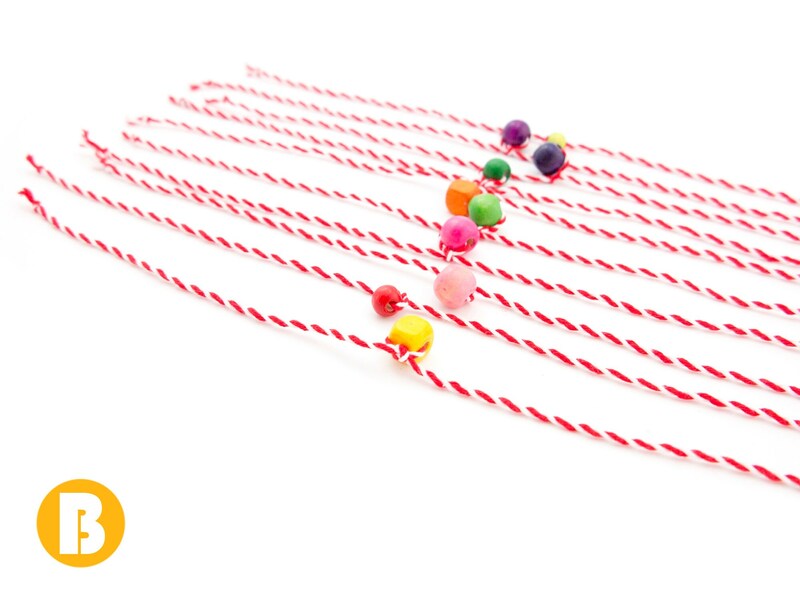 Listed price is for set of 10 handmade Martenitsa bracelets.